I remember back in the early days, I felt compelled to do something green on that day and then forgot about it. I do think we are more aware now about the need to take care of the earth each and every day. I also do what I can when it comes to recycling, reusing, repurposing, and not worrying that I have weeds in the grass. The bees like the dandelions, and I could eat them if I wanted. There’s a t-shirt floating around on social media – there is no planet b. Simple but true. 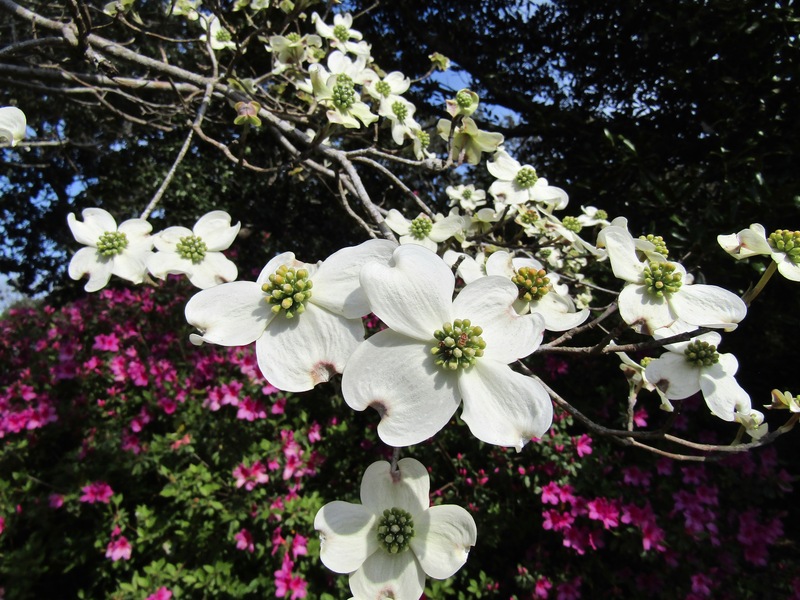 On a normal day, I’d probably complain that I had to reach back into my photos from South Carolina for spring blooms because my daffodils are no more than 4″ tall and there is absolutely nothing blooming here. But, since my friend, Linda, from northern Maine posted photos of ice dams taller than the average human, I’ll forgo the minor complaint and just wish you all a great Earth Day! 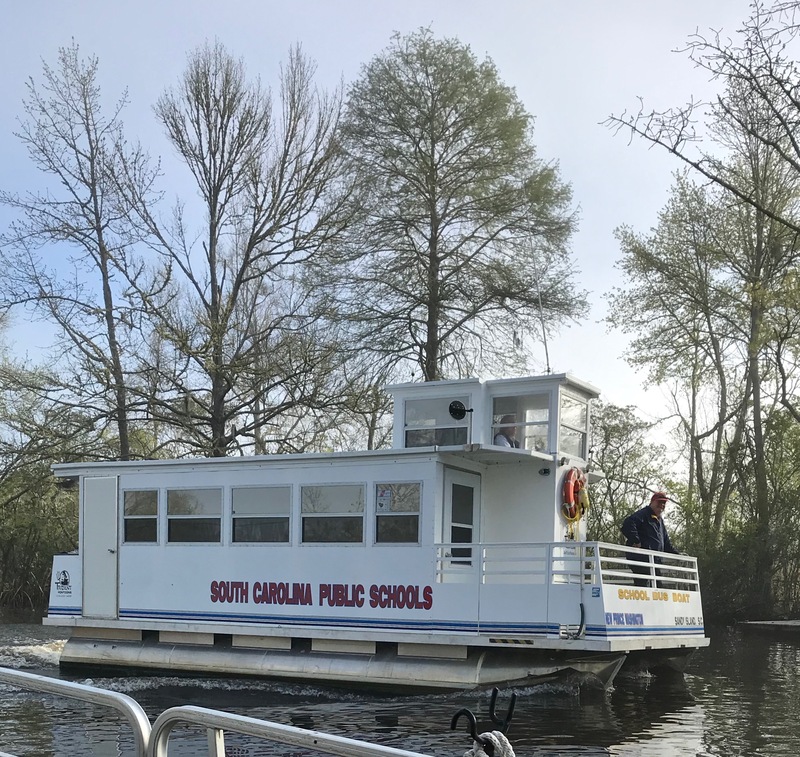 On my last day in South Carolina, three friends and I boarded a pontoon boat with Captain Rommy and headed out into the fog to tour Sandy Island which is a prehistoric sand dune covering around 9,000 acres. Sandy Island is in between the Pee Dee and Waccamaw Rivers on the east and west, Bull Creek on the north, and Thoroughfare Creek on the south. After the Civil War, several hundred acres in the southern part of the island was purchased by freed slave, Philip Washington. Mr. Washington was a slave on Pipe Down Plantation on Sandy Island and was involved in an unusual set of circumstances when their owner passed and his wife left the area. Concerned that they would be sold off and separated from family, they got together, considered all the essential attributes of a good master and elected Governor Robert Francis Withers Allston. Their next challenge was to convince Governor Allston to take on the plantation which he had already turned down. Mr. Washington was sent to talk with him, and he came away with a successful resolution. It is still inhabited today by ancestors of skilled African slaves brought over to work the rice fields of SC plantations including Brookgreen Plantation. The population of Sandy Island today is approximately 28 people. Residents who work and children who go to school commute by boat. The northern part of the island is now owned and preserved through The Nature Conservancy. 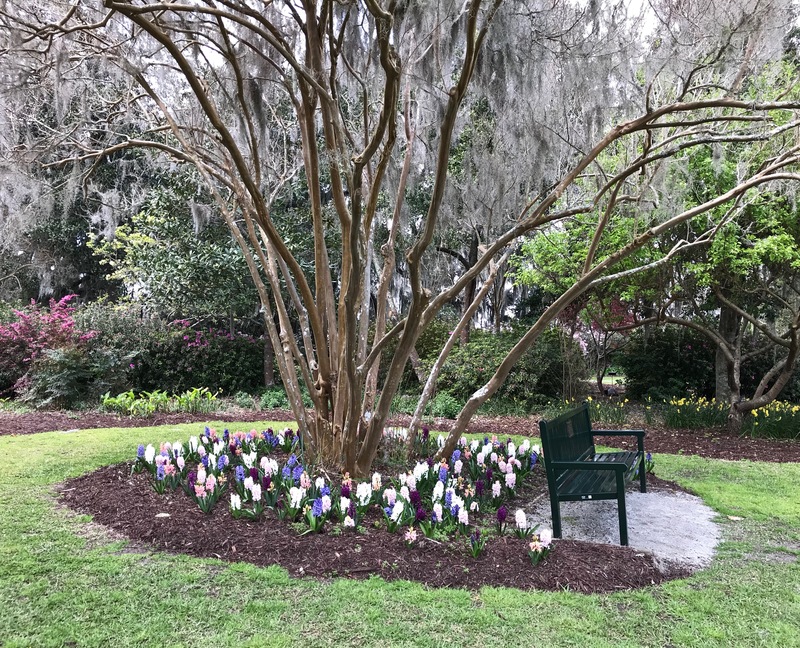 Brookgreen Gardens runs boat tours that go near the island, but to actually visit the island you need to set up a tour with Tours De Sandy Island. If you have the chance to meet the very personable Captain Rommy Pyatt, be sure to thank him for his service. He is retired Air Force. What did we take away from our tour? I think I can say we all came away with a feeling of deep pride in country, family, and background along with a deeper understanding of our country’s southern history. This tour was another example that our history is not a story but facts that all stacked together bring us to where we are today. Facts that we can learn from and become better citizens, neighbors, and just plain better human beings. Happy Thursday and a Happy Easter to those who celebrate this weekend! 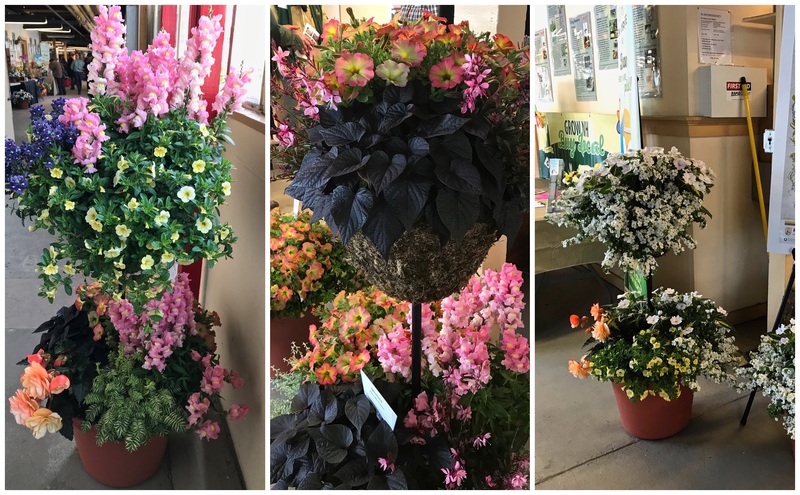 Linked to Norm Frampton’s Thursday Doors, April 18, 2019. I was able to get two truck loads of sticks and leaves to the recycling center. I made a dent in the sticks but only a down payment on removing the leaves. I have one area with a perennial bed and dry creek bed where the leaves collected and were around 10″ deep. I could have used a pitch fork there. I see a couple of more truck loads of leaves in my future. 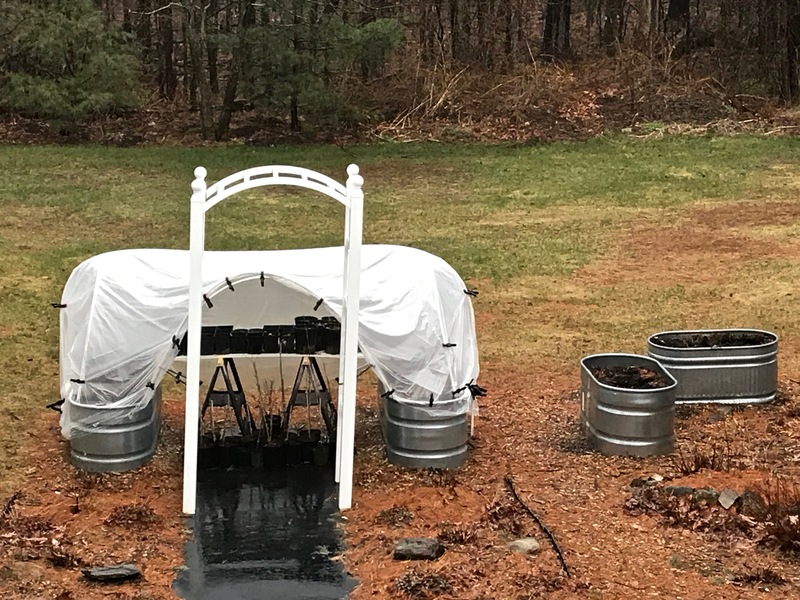 There was also a need to warm up those 100+/- perennials and 20 white dogwoods that I’m holding for the upcoming plant sale. So, I got some pvc pipes down, made some hoops, grabbed some clear plastic, and used some clips to hold it down. Of course, now they need some sunshine. It looks like we’ll get some sun on Tuesday and Wednesday, but the rest of the week shows more rain on the forecast. While it rained, I did some sewing. 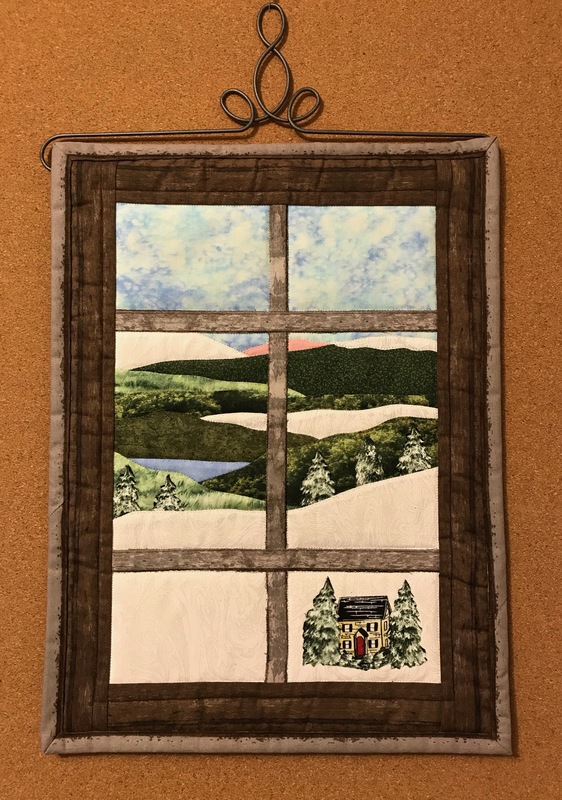 I finished a landscape wall hanging for a gardening friend who is moving to Tucson. I made her a little snow scene to take with her. Hope she appreciates the humor. Other than that, we did our spring cleanup of the garage and moved an armoire out and an electric fireplace and tv stand in. It looks nice and works great. So, as we all celebrate tax season being over and spring on the horizon, here’s hoping you have a great week whether you’re having a productive work week, reading a good book, quilting, or working on those spring chores. Happy Monday! Do you have a chore list this time of year? I started mine yesterday. When I was a kid, I played Pick-up Sticks, and every time I’m out there doing this chore, I smile thinking about all those games. I don’t smile at all the bending over required to clear five months of sticks on the ground so I call upon one of my favorite tools. Today, it is called a reacher or grabber. I have two, and they’re both over twenty years old and are made of wood. They were my Mom’s. I can pick up sticks and branches from a standing position which means no sore back which is a good thing. Tomorrow, I’ll pull my truck around so I can take them to the recycling center. If I have time, I’m going to gather a few bags of leaves too. I have one spot near a fence where the leaves are 3′ high and it will require multiple attempts and bags. I also dug out the 100+ plants for the Master Gardener plant sale so they could get some sun and potentially thaw and start to perk up. The ground was frozen solid about 5″ down. No beautiful photos available here in my gardens. But, my friend, Sue, and I did go to the UNH Greenhouse Open House. What a wonderful breath of spring. I love these tall double-decker pots. They used black pvc pipes, but I’m thinking plumbing pipe might be stronger. I’ve never seen snapdragons in a planter, but they definitely add some flair. 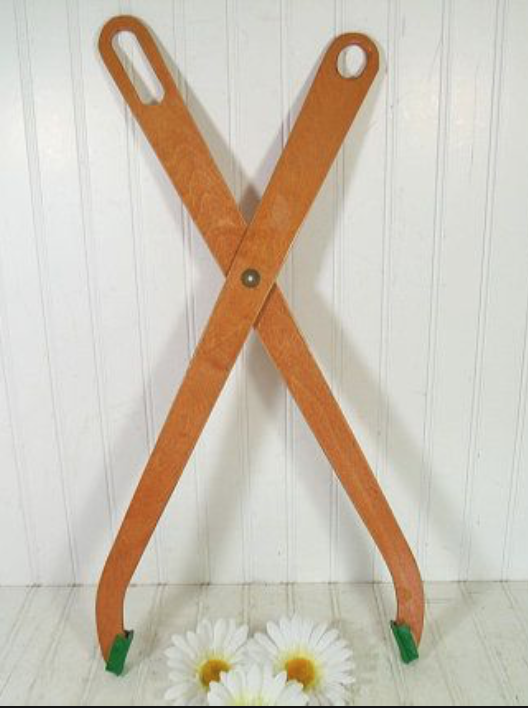 I can’t find my wooden grabbers on line for sale, but I did find a photo. Virginia for the most police out checking for speeders. I was on cruise control at six miles over the limit when another car passed me. His mistake because they had him by the time he went around me. Pennsylvania, particularly Scranton, for the absolute worst roads. They were like driving on washboards. If you’re planning to drive the 84 to 81 corridor, budget for a realignment. No trips to Brookgreen Gardens today just getting my truck battery jumped, buying supplies for a leaky toilet, and wondering where an entire fence panel flew off to. But, Hammock Coast SC asked if they could use this photo for marketing purposes, there’s a MG meeting tomorrow and a plant sale on Friday. I’m smiling already. 🙂 Happy Monday, April 1! Socastee, South Carolina, is about 11 miles northwest of Murrells Inlet where we are staying in an unincorporated part of Horry County. It is situated along the Intracoastal Waterway, has a population of about 20,000, and is known as the home of the Socastee Swing Bridge. Their small historic district includes the Sarvis House and the Cooper House, and is within a short walking distance of the bridge. We checked them both out. Samual Sarvis built his house in 1881 from lumber locally milled or brought in by boat and then transported to the site by mules and wagon. Samuel married Lucy Grissette from NC in 1881, had ten children, but Lucy died giving birth to her last child in 1896. He did not remarry. The last Sarvis to live in the home was Jane, Sanuel’s granddaughter, who purchased it from another family member in 1983. The only upgrades were to add electricity, plumbing, heat pump, and to remove one room that was not structurally sound. Jane was forced to leave the home in 2010 because of medical issues. The house remained vacant until 2013 when the house was purchased by the Socastee Heritage Foundation. Around the corner from the Sarvis House is the T. B. Cooper House and General Store. This house was built in 1908 for Mr. Cooper, the Postmaster, by Robert M. Prince Sr.
Yesterday’s general store is today’s event center where many a shabby chic event is held. 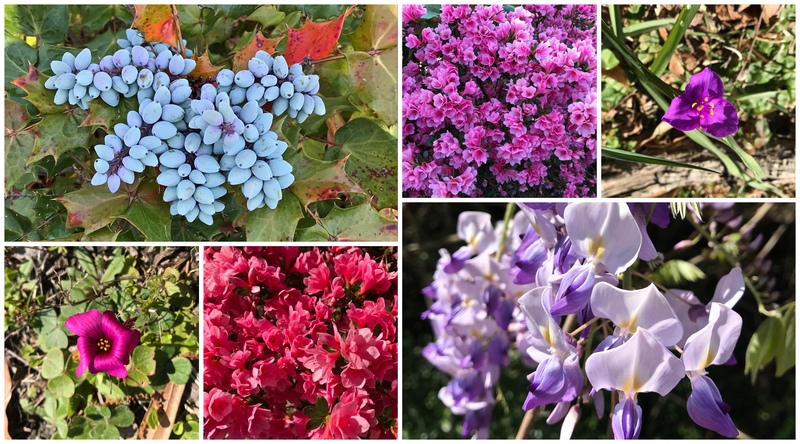 There were also beautiful plants at both homes including Oregon Grape Holly, Azaleas, Spiderwort, Oxalis Shamrock Clover, and Wisteria. 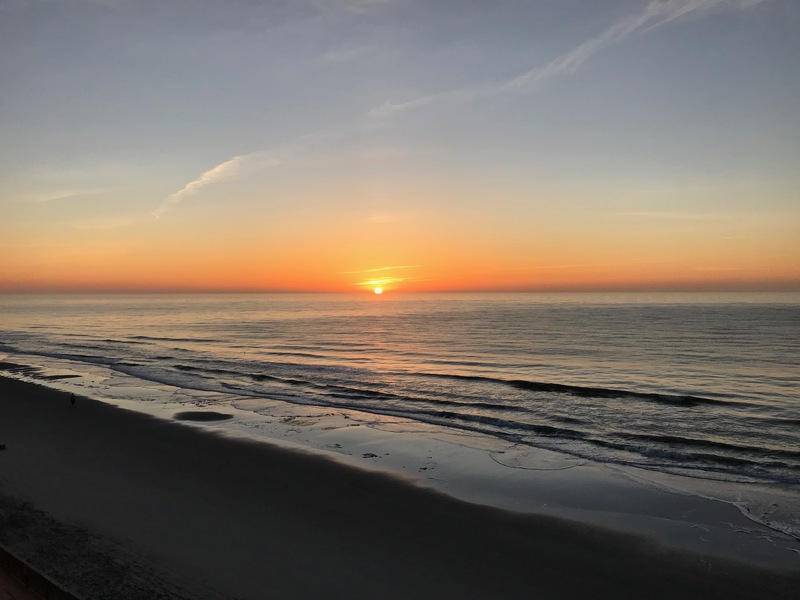 Linked to Norm Frampton’s Thursday Doors, March 28, 2019. 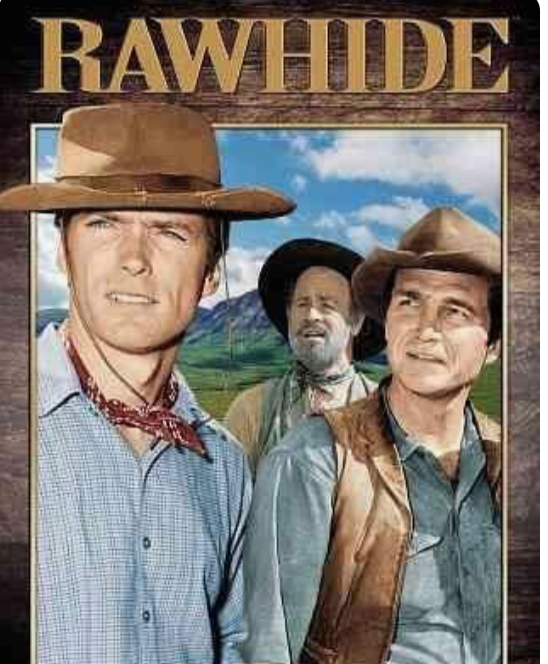 Do you remember Rawhide, the tv show? That’s always what I think of when we reach the last week in March. Every snowbird from the tip of Florida will be heading north this weekend. I started packing yesterday with the sewing machine and materials. The packing needs to get done so it doesn’t interfere with any fun outings this week. I’ve got some good doors for Thursday so I’ll leave you this morning with some photos from last week. It was a good one. So, here’s the narrative. The Socastee SC Swing Bridge built in 1935 was the final piece in a 2,700-mile Intracoastal Waterway started in 1824 running along the Eastern Seaboard from Maine to Florida. When demanded, it pivots at a quarter-to and a quarter-after to allow ships to pass through. The Bridge is part of the Socastee Historic District and is listed in the National Register. We have several drawbridges up north, but I’d never seen a bridge pivot. It was truly amazing.